To choose your preferences, please visit your profile and review the Interest Categories area. ​This module provides a general overview of the RID Certification Maintenance Program (CMP). Subsequent modules in this series will provide specific and detailed information about the various components of the CMP & the processes by which RID certified and associate members maintain certification. This module provides specific information including types of coursework, timelines, and credit amounts related to the academic coursework that can be converted to CEU credits. The Social Justice Roundtable promotes participants to engage in meaningful exchanges around anti-oppression and social justice issues as they relate to the working and living experience of interpreters and those they serve. The forum serves to support those who are members of marginalized groups and to educate participants on issues of oppression, discrimination, and social justice. Participants will have opportunities participant in discussions, network with others, and learn from current events. This module provides information regarding learning activities in which certified and associate members wish to participate but which are not already approved for CEUs. This module will describe the types of learning activities that qualify, timelines and processes for application to an approved RID CMP Sponsor, and how to demonstrate successful completion of the activity as well as some common misunderstandings about the PINRA category of credits. ​This module will provide information regarding educational activities either developed and provided by Facilitators/Instructors, Hosts or RID-Approved Sponsors. CMP-approved Sponsors may either provide or support a learning activity for CEU credits including the types of activities that qualify, requirements for instructors, documentation required, timelines, and evaluation processes. This webinar is 0.2 Professional Studies CEUs in the Power, Privilege, and Oppression category. This workshop will teach educators how to incorporate diverse cultural perspectives in their classrooms by utilizing diverse historical materials, videos, presenters, and experiences. Educators will learn how to analyze their thoughts surrounding cross-cultural information, people, and perspectives. They will learn now to discuss culturally relevant issues for Deaf and hearing People of Color (POC) communities and how they can teach their students how that information may impact the interpreting process and consumer satisfaction. In the middle of an appointment, interpreting for a victim of crime, domestic violence, or sexual assault, you realize a few things but aren't sure what exactly to do. One - you're not sure how to handle the violence, trauma, and the effects on you. Two - you're aware of resources available for the client, but unsure of how to share it, safely. Three - you want to be sure you're using appropriate signing vocabulary. This workshop will help you understand how you can manage your trauma, and how to safely share resources with the Deaf victim. This module provides information regarding learning activities that are developed by members and describes the sponsor’s role in reviewing, approving, and monitoring the Independent Study (IS) project. Did you know that Deaf individuals are 1.5x more likely to be victims of relationship violence—including sexual harassment, sexual assault, psychological abuse, and physical abuse—than the general population? Come see a powerful presentation about how domestic violence and sexual assault affect the Deaf and Hard of Hearing community, as well as the resources and challenges survivors face. Participants will have the opportunity to explore how contexts involving domestic/sexual violence impacts language decisions, to define ethical decision-making in contexts involving domestic or sexual violence, and to learn tips for keeping safe in these contexts. 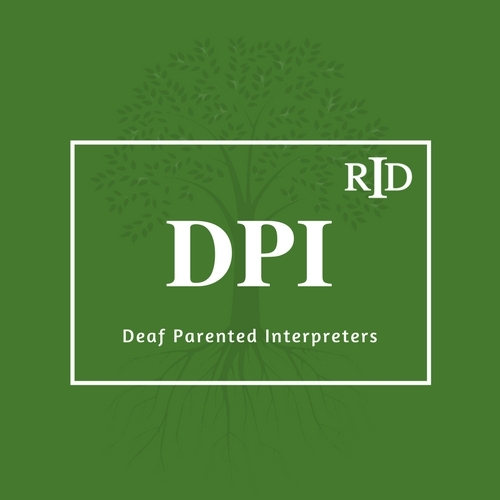 Our webinar spotlight this month is “Unpacking Our Privilege: Stories from Deaf-Parented Interpreters” Receive a 15% discount when you register and enter the “UNPR2019” code. Discount ends on April 30, 2019. This webinar is 0.15 Professional Studies CEUs in the Power, Privilege, and Oppression category. This is the first of a series of webinars to address power and privilege. We are honored to host a panel of Deaf-parented interpreters who will bravely share their stories. At the end of the webinar participants should be able to define the concept of privilege, identify examples of privilege in their lives, and recognize privilege in the Deaf community and its impact. To take advantage of the Continuing Education Center, you will need to be an Associate, Certified, or Student member of RID. For assistance, contact webinars@rid.org. If you are a current member, you have received email instructions from RID with your log-in information for the Continuing Education Center. If you need to confirm your account information, please visit myaccount.rid.org.